When we were young we used to get a small hollow Easter egg, sometimes with sweets inside them. You can still buy them today but the range of Easter eggs is now very impressive. I couldn’t believe some of the eggs I found when researching this post. The sky’s the limit for what you can buy, literally. A 1m tall egg anyone? Or one that weighs 13kg? Have a spare £1,000 to spend? And I’m not kidding. Take a look at some amazing Easter Eggs below. 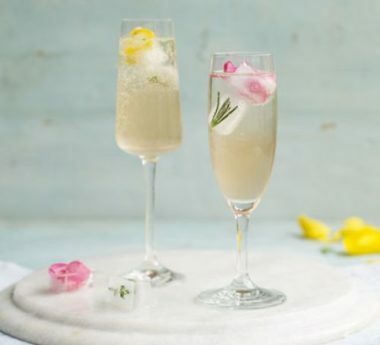 We’ve collected lots of recipes for delicious meals and home made treats for your family and friends get togethers. If you’re looking for something special check out our suggestions below. 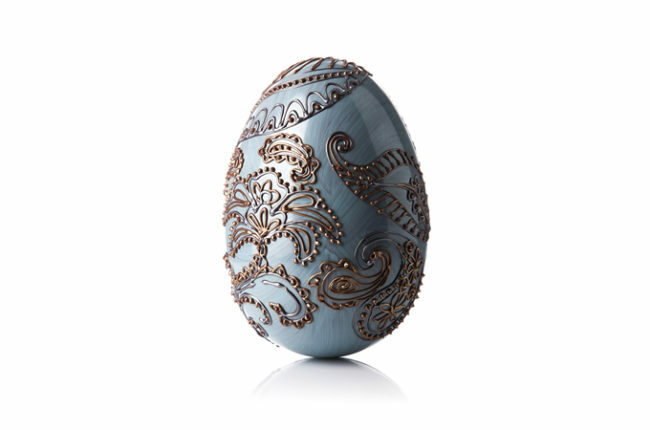 A hand made Paisley egg from LickTheSpoon. If you fancy something less sweet, how about a Cheese egg? Or a chocolate jigsaw from Saveurs? Take a look at this collection of eggs from The Telegraph. Absolutely amazing. 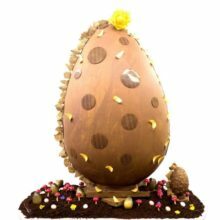 One to dream about – for £1,000 you could have bought a hand made egg by Godiva. This weighs 13kg, that’s a lot of chocolate! This one from The Hotel Cafe Royal is 1m tall! How about an Easter egg hunt? NetMums have some great ideas for an Easter egg hunt and some more here from SheKnows.